Thanks very much for the nomination for this award from Jo from Eclectic Feel which is a great online magazine style blog about art, health, beauty, music, books, craft, DIY and much more – something for everyone. Please do check out her great blog and also some of the nominations I have made below – so many to choose, its hard to pick just 10! 1. Thank and link the blogger who nominated you. 2. Answer the 10 questions your nominator has provided. 3. 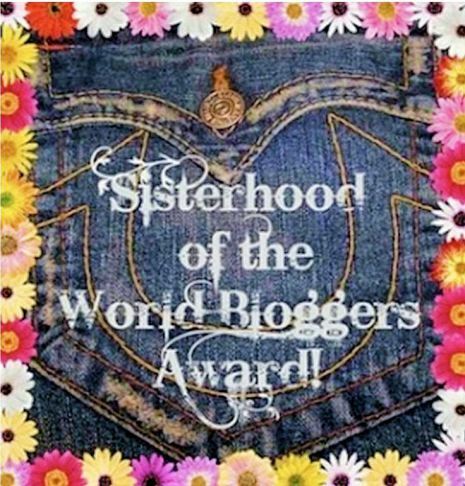 Nominate ten other bloggers. 4. Create 10 questions for your nominees and notify them of their nomination. 1. How long have been blogging for? I started this blog at the end of 2013 but didn’t start posting regularly until January 2014 when I aimed to post daily when possible. 2. Who was your childhood crush? I was a huge Duran Duran fan, John Taylor (bass guitarist) specifically. I still listen to Duran Duran occassionally now. 3. If you could change one thing in the world, what would it be? 4. What’s your favourite type of blog post to read? 5. If you had to leave right now this second for a week away, what 3 beauty items would you pack? 6. Juices with kale or other veg in – yay! or Bleurgh? Hmmm maybe carrot, but I’m not a big fan of vegetable juices. 7. Are you involved with any charities? Lots – as a donor only though! I am close to doing my 1200 loan with Kiva.org. I donate monthly to Apopo who train African Pouched Rats to detect landmines through Africa and also parts of Asia. They also have TB detection rats. I also donate monthly to World Wildlife Fund and the Fred Hollows Foundation, who work through the Pacific Islands restoring sight to those who have gone blind through cataracts. I also sponsor a World Vision child who lives in Bangladesh. Less frequently I also make donations to organisations such as the local SPCA, the Red Cross, Give Kids the World, and I’ve shaved my head twice to raise funds for Canteen and the Child Cancer Foundation. You can read about my last year’s shave here. I have so much, and I am truely fortunate to have won the birth lottery and live in a country where I have more than I need, so I like to ensure at least some of my income goes to those who need it more than I do. 8. What’s your top tip for chilling out when you feel stressed? Loud, upbeat, happy music or a good fast walk or bike ride. 10. What’s next for your blog? I have more coming up about Myanmar. Coming up later in the year will be a LOT of Disney coverage – Disneyland’s 60th and going to Walt Disney World with my nephews. And definitely more of my Grandad’s War diary – I know he goes to Italy after finishing up in North Africa but I’m not sure in what capacity. 1) If you could leave right now for any place in the world, where would you go? 2) Why did you start your blog? 4) Do you have any pets, what are they? 8) What do you see yourself doing in 20 years? 9) What advice would you have given your childhood self? 10) What is your favourite blog piece that you have written? Great responses. I especially like how you said if we come to your door you will tell us to piss off 🙂 Me too! I give to charities but don’t like door to door solicitations. Thanks so much for the nomination. I’m not that active in the blogging world yet so I seriously don’t even have 10 blogs I could nominate (must really get out there and discover all the wonderful blogs). So if I don’t blog about it, that’s why! I had a couple of men turn up at the front door today in dark suits – I just opened the door and said “no thank you” before they could utter a single word. I don’t care what they were selling, religion, vacuum cleaners or a charity. Whatever it was, the fastest way to not get any money out of me is to come to my door. I think its incredibly rude. What do you do with all those socks? That amazes me.